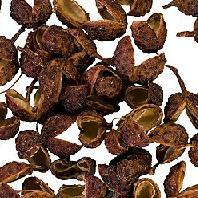 It is used a lot with Chinese food particularly Sichuan dish. I add a rind of a fruit to a stewed dish, a fry-up, bean-curd soup seasoned with red pepper and season it. The unique flavor having numb of the tongue said to be the characteristic of the Sichuan dish is provided when I add dry powder to the finish of the dish. In the meaning that the words to be said to be Mahler (麻辣) are hot, and it is fascinated by, it is a red pepper effect of this 痺 れるは "ホアジャオ", that is hot. It is that taste of bean-curd soup seasoned with red pepper and 麻辣湯. I am used as materials of the Goko powder (Woo fen beautifulness). I call the thing which I mixed salt and powder of 花椒 of the same amount which I parched with 花椒塩 (carry I do not obtain it ホアジャオエン) and I touch it to the deep-fried food and eat.